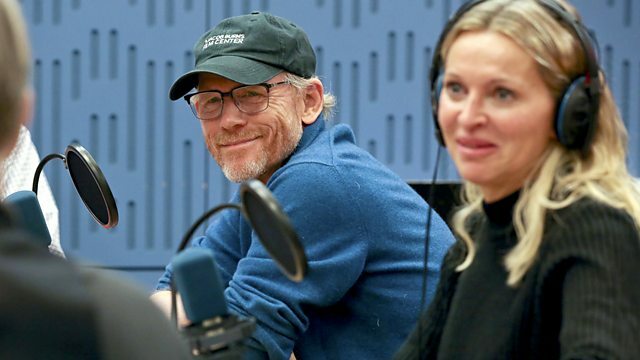 Clive Anderson is joined by Ron Howard, Noah Hawley, Gordon Ramsay and Barrie Rutter for an eclectic mix of conversation, music and comedy. With music from Martin Taylor and Scritti Politti. ‘Inferno’ is in cinemas on Friday 14th October. ‘When We Are Married’ is touring until 10th December. ‘Before The Fall’ is published by Hodder & Stoughton and available now. Series 1 and 2 of ‘Fargo’ are on Netflix. ‘Bread Street Kitchen’ is published by Hodder & Stoughton on 20th October. 'The Colonel & The Governor' is available now on Mesa BlueMoon Recordings. Martin celebrates his 60th Birthday with a solo UK tour until Friday 5th November. ‘Songs To Remember’ is available now on EMI. Scritti Politti are performing at 'Rough Trade 40' at London’s Barbican on Saturday 22nd October.